Kelowna is a pretty regular summer outpost for Calgarians, for good reason, but it’s also worth visiting in the spring. The beer scene is booming, the wine scene keeps getting better and the scenery — whether in the canyons or on the water — is the stuff people from elsewhere are jealous of. Whether this is your first time or your hundredth time to Kelowna, there are always new things to do and experiences that you just can&apos;t get in Calgary. When you visit a city nestled among wineries and grapevines, there is no shortage of wine tours. Distinctly Kelowna Tours has two unique wine / adventure tour options that will also provide you with some stellar views. Their 6.5 hour zipline tour ($234 per person) starts at ZipZone Adventure Park where you will fly across the canyon on six ziplines. Once on land, a picnic lunch awaits. Their 6 hour ATV and wine tour ($214) takes you through the Okanagan back country forests and to the best lookout points on the seat of an ATV. Both excursions end with tours of Kalala Organic Estate Winery and Quails&apos; Gate Estate Winery. If ATVs and ziplines aren&apos;t your style, but wineries and classic cars are, try Tours 59 or Vintage Wine Tours. Both include scenic drives, tour guides and stops at multiple wineries with tastings and tours. With Tours 59, your designated driver and tour guide will chauffer you to wineries in a 1959 Chevrolet Bel Air. Tours can be customized or choose from one of three existing itineraries ($450 per car). 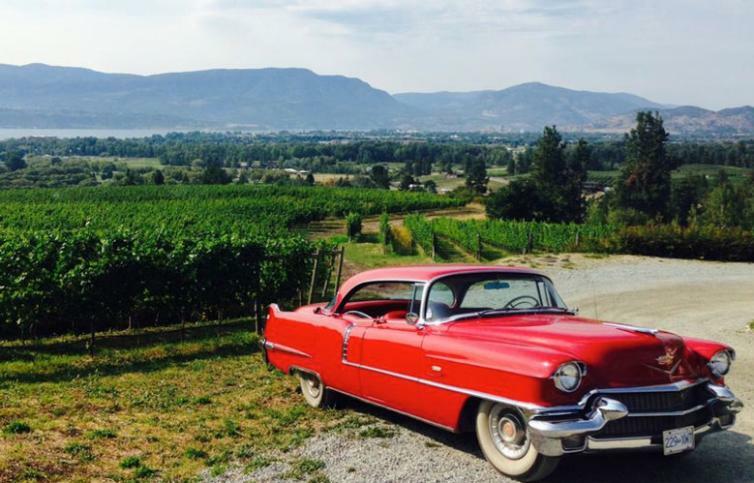 With Vintage Wine Tours, Sam Wilson will pick you up and cruise you around to wineries in similar classic style, but his tour is in a 1950s red Cadillac and includes an outdoor picnic lunch ($150 per person). Kelowna has plenty of boutiques that you will only find there. For vintage consignment, vintage reproduction dresses and locally designed duds, you&apos;ll want to stop at Georgie Girl House of Vintage. For home decor and kitchen items, including tables made from grape boxes and sous vide machines, shop at Lakehouse. For jewellery, Sandrine chocolates and home decor all in one place, shop at Alchemy. For clothes by Kelowna designer Genessa Jackson, shop at Le Rêve. A few other favourite stores include, Funktional, Cranberry Junction, Olive & Elle, Pretty Lil Things and the Kelowna outpost of Calgary-based Knifewear. One of Kelowna’s newest and coolest additions is the BNA Brewery Co. & Eatery. The restaurant and lounge (in the historic British North American Tobacco Company building) is owned and operated by Kyle and Carolyn Nixon. It has its own beer as well as several other B.C. brews on tap. On the last Tuesday of every month, the restaurant hosts a beer club. 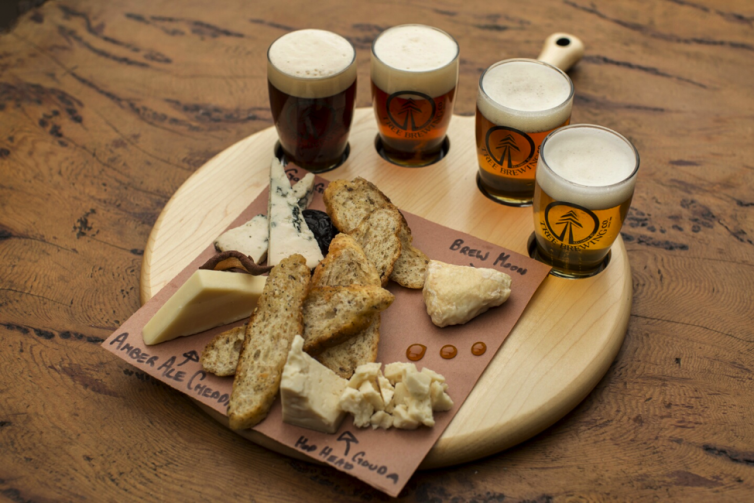 The informal get together includes drinks, food pairings and good conversation about beer. Anyone can attend club events as long as they have a ticket, which is $50. If you aren&apos;t in Kelowna on that particular Tuesday, stop into BNA anytime for a flight of house beer, cocktails, food and a game of bocce (they have an indoor court). In Calgary, we never get to park our boat downtown when we go for dinner. The Downtown Marina Kelowna makes that possible! The public marina has 68 temporary moorage slips where you can park your watercraft by the hour or day. Salted Brick, RauDZ, Doc Willoughby&apos;s Pub, Memphis Blues Barbecue House and Bean Scene Coffee Works are all close by. You can also rent boats at the marina. There are plenty of fast sport boats for tubing, water skiing and wakeboarding. There’s also a 24-foot pontoon boat, which you and 13 of your friends can take out for some fishing and relaxing on the lake. For cyclists, there’s no place in the world quite like the Myra Canyon and the Kettle Valley Railway. 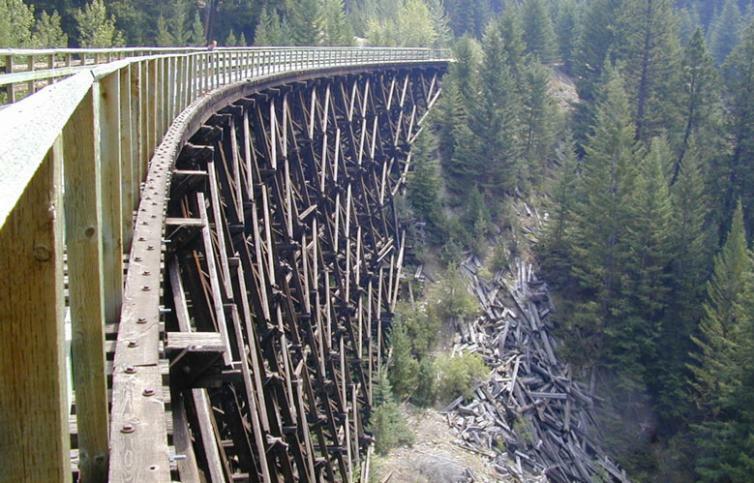 The hundred-year-old rail line was originally built to connect the Kootenays to the British Columbia coast. When highways opened, the rail track became less important, and the KVR eventually closed in 1962. Now, it’s a popular recreation trail. There is a section that includes massive trestles over Myra Canyon, that had to be restored after a forest fire in 2003. You can rent bikes on-site from Myra Canyon Bike Rentals ($30-$69 half & full day) or you can bring your own and cycle it for free. You can also book a guided tour with KVR Cycling Tours ($80 per person). The tour company will pick you up by shuttle in downtown Kelowna. When you get to KVR, hop on a cruiser bike and cycle the mostly flat 12 km trail which takes you along 18 wood trestles, two steel bridges and two tunnels. Guides will give you all the goods on the history and scenery. 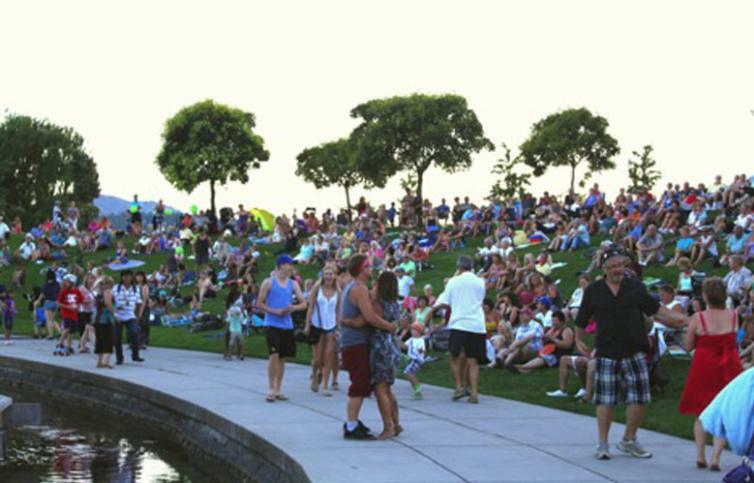 PHOTO COURTESY OF FESTIVALS KELOWNA – PARKS ALIVE! Kelowna&apos;s Parks Alive! program pretty much guarantees some form of live art or music when you are in the area over the summer. Find free concerts with local and international artists at outdoor venues in North Glenmore, East Kelowna, the Mission, Kettle Valley, Black Mountain and downtown Kelowna every weekend. You know a city is serious about beer when it has a “beer institute” downtown. Tree Brewing Beer Institute is a large brewery, and was opened by Kelowna craft brewers in 1996. You can eat at the institute, drink beer and tour its facilities. You can also buy a crowler. A crowler (not be mistaken for a growler) is a 32-ounce can that is filled-to-order from Tree Brewing&apos;s taps, sealed and labelled for you to take home. Check out the video to see how it works. Article originally posted on Avenue Calgary May 16th, 2016.